Tools Of The Trade 13-Piece Cookware Set Just $37.99! Down From $120! 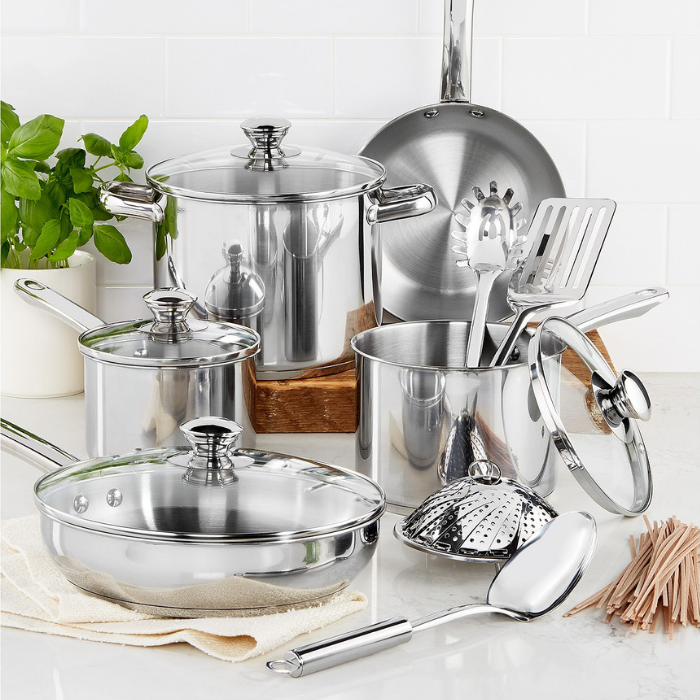 You are here: Home / Great Deals / 13-Piece Cookware Set Just $29.99! Down From $120! PLUS FREE Shipping! 13-Piece Cookware Set Just $29.99! Down From $120! PLUS FREE Shipping! Get your kitchen off to a great start with this stainless steel cookware set from Tools of the Trade. The 13 pieces include the basics you’ll use most plus utensils and a steamer.